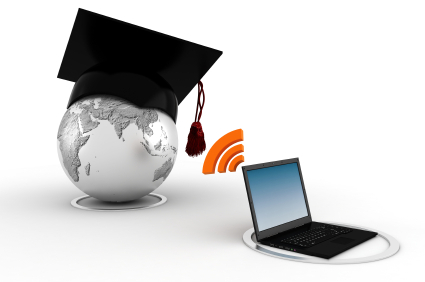 Nowadays, distance education is much popularly known as online education because of its use of the Internet as an instructional delivery model. And while correspondence education is part of distance education, they have differences in delivery methods, academic rigor, and convenience and flexibility factors. Correspondence education was first developed in the mid-nineteenth century in Great Britain, France, Germany and the United States to make education available to those who do not have access to a university. The course materials in correspondence education are given to the learner via mail or electronic means. Meanwhile, distance education takes advantage of the fast Internet technology in delivering instructional materials. It typically uses emails and live chats, as well as audio or video recording. Distance education is far more rigorous compared to the traditional correspondence education. That is because it offers a more interactive environment. The teacher and the student, even student-to-student, despite being in different locations, can have a quasi-face-to-face environment that enhances the academic rigor. Traditional correspondence education, on the other hand, is done through mail delivery that fails to offer any type of interaction among students, all the more student-to-teacher interaction. In other words, correspondence education is static while online education is fluid and dynamic. As for convenience and flexibility, both distance education and correspondence education offer a good autonomy to learners. The difference is that one has limited freedom while the other has too much of it. Online education, although flexible, still has deadlines for posting reactions on discussion boards which makes it not as flexible as correspondence education that has a “hands off” approach. There is a downside to too much freedom in correspondence education though. It may not be a good thing to all learners as it requires self-motivation and self-discipline. Correspondence education is an independent mode of education, which does not require a real-time interaction between students and teachers. In this education system, a student can study at home, receive the exam paper by post and send back assignments by post.